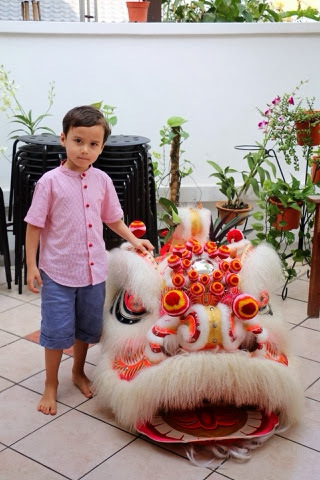 Across 2 Cultures - Cross-Culture Parenting and Lifestyle Blog: The little lion dancer. 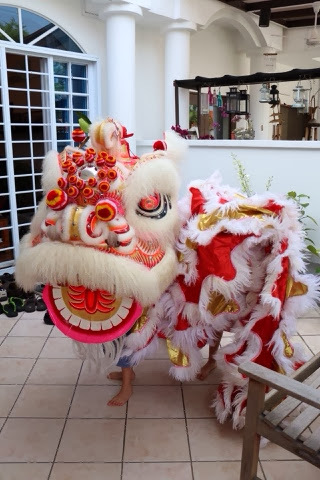 It's Chinese New Year and as usual, the boy is exceptionally excited about lion dance. 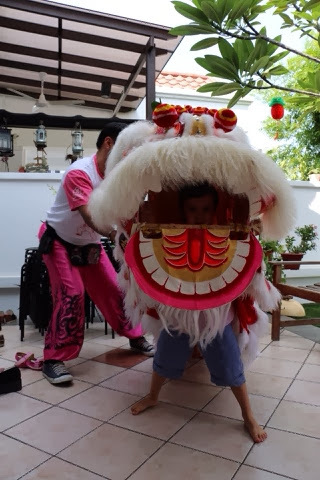 This year, aside from watching the lion dance performance, the boy decided to be the one performing. Check it out! On top of that, we managed to catch one of the performance at my sister' sand the lion dance troupe kindly let the kids check out the props. See the little legs under the lion! The lion was being held up by one of the troupe members.